Situated right on the beach, enjoy amazing ocean views from the unusual orange coloured infinity pool or relax on the wide wooden decking that is open to refreshing sea breezes and perfectly compliments the smart, contemporary design of the resort. Our friendly team welcomes you with a pleasant, efficient service from the moment you arrive on Koh Samet Island, where nothing is too much trouble to ensure your needs and requirements are met with a smile. Koh Samet is located in the Gulf of Thailand just 3 hours drive from Bangkok and accessible by a short 25 minute shuttle boat crossing from Seree Ban Phe Pier in Rayong province. The largest island in the Khao Laem Ya – Mu Ko Samet National Park, Koh Samet is an unspoiled island paradise with a tropical jungle interior and only one road circling the island, dropping off at secluded stretches of powdery white sand beaches, rocky coves and picturesque bays with crystal clear waters. 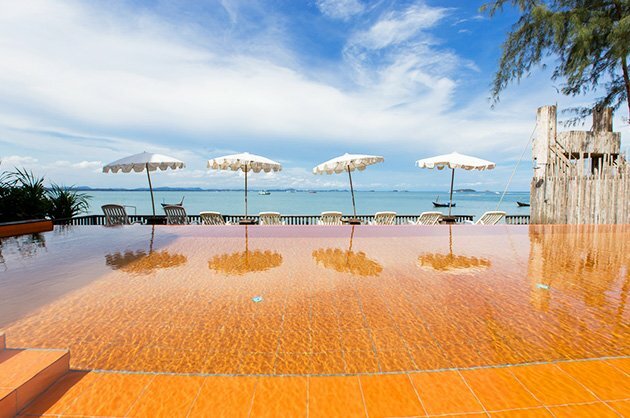 The most lively and popular stretch of coastline is Sai Kaew Beach to the Northeast, just over 5 minutes drive from Baan Ploy Sea, situated on the peaceful Ao-Klang Beach. 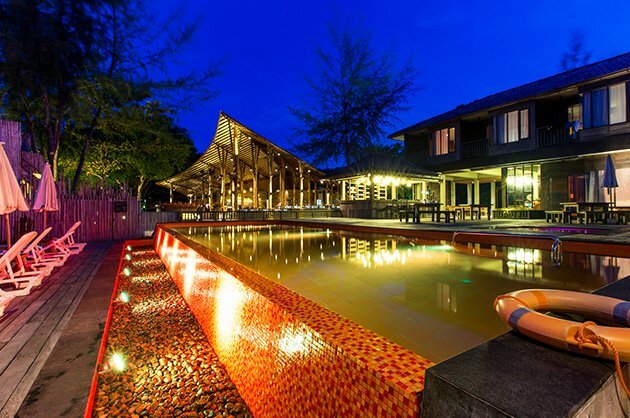 The close proximity to the island’s main dining and nightlife hub means guests can enjoy the hustle and bustle of Sai Kaew Beach, but are able to retreat to a peaceful and serene resort to escape the crowds and the noise. 29sqm Find peace and relaxation in these uniquely styled, contemporary Deluxe Rooms. The corner location provides an added sense of privacy, while the warm homely ambiance, clean minimalistic design and modern amenities ensure a comfortable stay with the paradise setting of Ao-Klang beach just moments away. 30sqm Fully experience the laid back ambiance of the resort with a restful stay in our modern and comfortable Deluxe Seaview Rooms. Each room features a private balcony or patio area overlooking the stylish sun terrace and infinity pool, with beautiful views of the stunning beach and ocean backdrop. 32sqm Imagine waking up to the sight of the azure coloured ocean each morning from your stylish and comfortable Beachfront Suite. Your spacious private terrace, situated right at the water’s edge, offers uninterrupted, tranquil ocean views and is the perfect place for couples and honeymooners to enjoy a peaceful taste of paradise.